Emma Burden is a member of the Family Team. She practises in all areas of family law and has particular experience in public and private law Children Act proceedings, representing parents, Local Authorities, Guardians ad Litem, and other parties joined with the leave of the court. 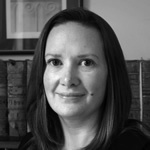 Emma’s experience includes all areas of ancilliary relief and applications under the Family Law Act 1996.